Abstract: A primary challenge in biology is to explain how complex phenotypes arise from individual molecules encoded in genes. Molecular interaction networks offer a key to understand how genotypes are translated into phenotypes. For example, sleep/wake cycles in animals are generated by molecular circuits of interacting genes and gene products, called circadian clocks. Circadian clocks are important for plant life as well, and surprisingly, the plant clock circuitry is overwhelmingly composed of inhibitory, rather than activating, interactions between genes. We found that this unique structure facilitates the coordination of temporally-distant clock events that are sharply peaked at very specific times of day, suggesting a design principle of the plant clock machinery. However, considering only genes in a given organism and its own molecular interaction networks may not be enough to understand the holistic picture of the organism’s phenotypes. For example, our resident gut microbial community, or gut microbiome, provides us with a variety of biochemical capabilities not encoded in our genes. This human gut microbiome is linked not only to our health, but also to various disorders such as obesity, cancer, and diabetes. We constructed the first literature-curated global interaction network of the human gut microbiome mediated by various chemicals. Using our network, we conducted a systematic analysis of the microbiomes in type 2 diabetes patients, and revealed the fundamental metabolic infrastructure of the entire gut ecosystem contributing to the pathology of type 2 diabetes. Our network framework shows promise for investigating complex microbe-microbe and host-microbe chemical cross-talk, and identifying disease-associated features. 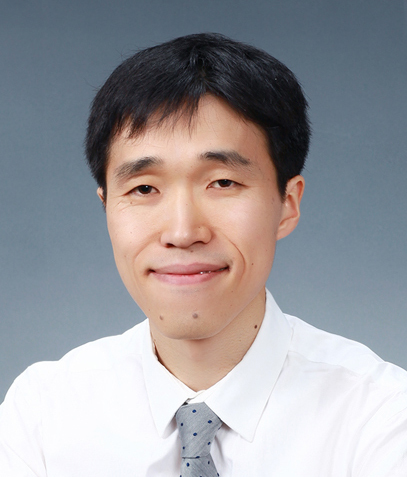 Bio: Pan-Jun Kim is a Leader of the Junior Research Group at the Asia Pacific Center for Theoretical Physics (APCTP) and an Adjunct Professor in the Department of Physics at Pohang University of Science and Technology (POSTECH). He is enthusiastic about raising a broad range of scientific questions to tackle the complexity behind nature and society, and applies mathematical and computational methods to answer those questions. His recent work covers a new framework to explore the human body’s microbial ecosystem linked to our health and disease, a design principle of biological clockwork for circadian rhythms, technology evolution in society, and even nutritional structure of various foods. 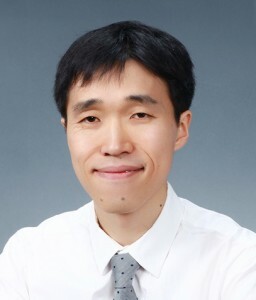 Kim received the Young Physicist Award from the Korean Physical Society, and worked as an Institute for Genomic Biology Fellow at the University of Illinois at Urbana-Champaign after earning his PhD in Statistical Physics from KAIST in 2008. Abstract: Throughout history language sciences have been dealing with numerous phenomena that are either inherently complex/dynamic systems, or which display characteristic properties of such systems. Within an individual, one can point to perceptual dynamics and categorisation in speech, the emergence of phonological templates, or word and sentence processing; across society, think variations and typology, the rise of new grammatical constructions, semantic bleaching, language evolution in general, and the spread and competition of both individual expressions, and entire languages. A handful of language phenomena will be depicted which have been known to exhibit such properties as hysteresis, phase transition, bifurcation, attractor states, or power law distribution. The multifaceted dynamism and complexity will also be discussed of the process of language acquisition, highlighting the importance of adopting designs with different timescales in order to trace language development as a process of change over time, of the utility of time-series analyses, and of the ability to determine optimal temporal integration windows, e.g. in analyses of dynamic motifs in human communication. The talk will conclude with a presentation of the results of two small-scale projects applying social network analysis (SNA) to language phenomena. One involved exploring the social propagation of neologisms in a microblogging service, the other investigating the impact of peer influence on second-language learning outcomes. Using the methods of complexity science, from local, low-level interactions between individuals verbally communicating with one another we can describe the processes underlying the emergence of more global systemic order and dynamics. Hypotheses will be presented which account for the novel findings. Bio: Michał B. Paradowski is an assistant professor at the Institute of Applied Linguistics, University of Warsaw, a teacher and translator trainer, and an ELT consultant for television, and currently a visiting scholar at the Department of Second Language Studies, Indiana University, Bloomington. His interests include issues relating to second and third language acquisition research, cross-linguistic influence, bi- and multilingualism, psycholinguistics, embodied cognition, and complexity science. His recent edited volumes are Teaching Languages off the Beaten Track (2014) and Productive Foreign Language Skills for an Intercultural World (2015). Abstract: Most tools that scientists use for the preparation of scholarly manuscripts, such as Microsoft Word and LaTeX, function offline and do not account for the born-digital nature of research objects. Also, most authoring tools in use today are not designed for collaboration, and, as scientific collaborations grow in size, research transparency and the attribution of scholarly credit are at stake. In this talk, I will show how the Authorea platform allows scientists to collaboratively write rich data-driven manuscripts on the web — articles that would natively offer readers a dynamic, interactive experience with an article’s fulltext, images, data, and code — paving the road to increased data sharing, data reuse, research reproducibility, and Open Science. Biography: Alberto Pepe is the co-founder of Authorea. He recently finished a Postdoctorate in Astrophysics at Harvard University. During his postdoctorate, Alberto was also a fellow of the Berkman Center for Internet and Society and the Institute for Quantitative Social Science. Alberto is the author of 30 publications in the fields of Information Science, Data Science, Computational Social Science, and Astrophysics. He obtained his Ph.D. in Information Science from the University of California, Los Angeles with a dissertation on scientific collaboration networks which was awarded with the Best Dissertation Award by the American Society for Information Science and Technology (ASIS&T). Prior to starting his Ph.D., Alberto worked in the Information Technology Department of CERN, in Geneva, Switzerland, where he worked on data repository software and also promoted Open Access among particle physicists. Alberto holds a M.Sc. in Computer Science and a B.Sc. in Astrophysics, both from University College London, U.K. Alberto was born and raised in the wine-making town of Manduria, in Puglia, Southern Italy. Abstract: Researchers have used large quantities of online data to study dynamics in novel ways. Consider the specific case of online networked individuals (e.g., users of Twitter, Instagram, Flickr). Can their social dynamics be used to build better tools for future cities? To answer this question, our research has focused on understanding how people psychologically experience cities. As a result, we have created new mapping tools that leverage senses and emotions, thus complementing the corporate idea of an efficient and predictable smart city, with the ultimate goal of reaching urban happiness. The work presented in this talk mixes data mining, urban informatics, and computational social science to show how a creative use of social media and network-generated data can capture the aesthetic, olfactory and sonic layers of our cities at scale. Biography: Rossano Schifanella is an Assistant Professor in Computer Science at the Department of Computer Science of the University of Turin, where he is a member of the Applied Research on Computational Complex Systems group. He is a former visitor and collaborator of the Network & agents Network (NaN) group at the Center for Complex Networks and Systems Research (CNetS), and he is also a Visiting Scientist at Yahoo Labs where he studies the behavior of (groups of) individuals and their interactions on social media platforms, and the interplay between online and offline social behavior. He is also interested in computational methods to investigate social phenomena, aesthetics and creativity in media platforms, and human-centered ways to explore urban scenarios. Feel free to bring laptops loaded with your favorite datasets to hack on during the demo. Ahead of the session, you might want to review the latest materials on OS X / Gephi compatibility [1,2], as there are some JVM issues that can complicate launching Gephi on recent versions OS X. Biography: Mike Conover is a data scientist at LinkedIn and a graduate of the Center for Complex Networks & Systems Research, where his research focused on the structure of political communication networks as part of the Truthy project. At LinkedIn, Mike builds machine learning technologies that leverage the behavior and relationships of hundreds of millions of individuals to connect the world’s professionals to make them more productive and successful. Mike’s research on economic and political networks has been featured in Forbes, the Wall Street Journal, Hacker News and on NPR. Abstract: Musicologists and sociologists have long been interested in patterns of music consumption and their relation to socioeconomic status. In particular, the Omnivore Thesis examines the relationship between these variables and the diversity of music a person consumes. Using data from social media, Last.fm and Twitter, we design and evaluate a measure that reasonably captures diversity of musical tastes. We use that measure to explore association between musical diversity and variables that capture socioeconomic status, demographics, and personal traits such as openness and degree of interest in music (intones). Our musical diversity measure can provide a useful means for studies of musical preferences and consumption. Also, our study of the Omnivore Thesis provides insights that extend previous survey and interview-based studies. Abstract: This talk details patterns and machine learning systems to provide our members with actionable, relevant opportunities to nurture their professional networks. Featuring the Connected mobile app as an in-depth case study of how to combine compute-intensive features describing billions of relationships with information that isn’t known until the moment a user opens the app, in this talk we’ll discuss the architectural, modeling, and experimentation patterns leveraged by the Connected relevance team to rank and serve mobile content. Additionally, this session will touch on the human element of machine learning product development, outlining collaboration and communication patterns for working effectively across the organization – from reporting and documentation to evangelism, skills transfer and user experience research. Taken together, these insights will provide a detailed picture of some of LinkedIn’s best practices for building data products at a global scale. Biography: A graduate of the Indiana University School of Informatics and Computing, Mike Conover builds machine learning technologies that leverage the behavior and relationships of hundreds of millions of people. A senior data scientist at LinkedIn, Mike has a Ph.D. in complex systems analysis with a focus on information propagation in large-scale social networks. His work has appeared in the New York Times, the Wall Street Journal, Forbes, Science, MIT Technology Review and on National Public Radio. Abstract: Topological methods for data analysis have recently attracted large attention due to their capacity to capture mesoscopic features which are lost under standard network technique. In the first part of this talk I will present an application of a recent method from computational topology, persistent homology, to the characterization of spatial patterns in a mobile phone activity of Milan, with particular reference to national communities within the city’s fabric. We then show how persistent homology can be extended to the case of weighted networks and present a particular application to fMRI data of patients in different states of consciousness. Abstract: Researchers in different disciplines have been studying human behavior in a variety of contexts, and have largely done so upon small-scale data coming from surveys and ethnographic observations. Social media sites now offer a unique opportunity to study individual and social characteristics at scale for a long period of time in unobtrusive ways. In this talk, I will focus on analyses done in two different contexts – political news sharing and micro-investment – and will show how to translate the corresponding insights into practical implications for the design of fit-for-purpose systems. Biography: Jisun An is a PhD candidate in a Computer Laboratory at the University of Cambridge and a member of the NetOS group. Her research interest is in analyzing online social media and social network with large-scale data and leveraging its properties to a platform that supports people to make improved choices in social, economic and political domains. Her research lies at the intersection of machine learning, network science, social science, and human computer interaction. For her study, she was funded by EPSRC and she is now an honorable recipient of Google European Scholarship in social computing. Since starting her PhD, she has been fortunate to have opportunities to collaborate with pioneers in social network analysis (e.g., MPI-SWS (Germany), KAIST (South Korea), PARC (USA), and Yahoo! Barcelona (Spain)). Abstract: Constrained clustering has been well-studied in the unsupervised learning society. However, how to encode constraints into community detection process of the complex social networks remains a challenging problem. We propose a semi-supervised learning framework for community structure detection. This framework implicitly encodes the must-link and cannot-link constraints by modifying the adjacency matrix of the network, which can also be regarded as the de-noising process of the consensus matrix of the community structures. Our proposed method gives consideration to both the topology and the functions (background information) of the complex network, which improves the interpretability of the results. The comparisons performed on the synthetic benchmarks and the real-world networks show that the framework can significantly improve the detection performance with few constraints, which makes it an attractive methodology in the analysis of complex social networks.